Tech Talk Thursday: Apps & Gadgets Bonus Edition! This Monday the library hosted its annual Winter HSL Info Expo. As always, our Apps & Gadgets segment was a crowd pleaser. Because there are so many great apps and fun gadgets out there, it’s hard to cram them all in to a 15 or 20-minute presentation. Inevitably some of these don’t make it to the final Info Expo. 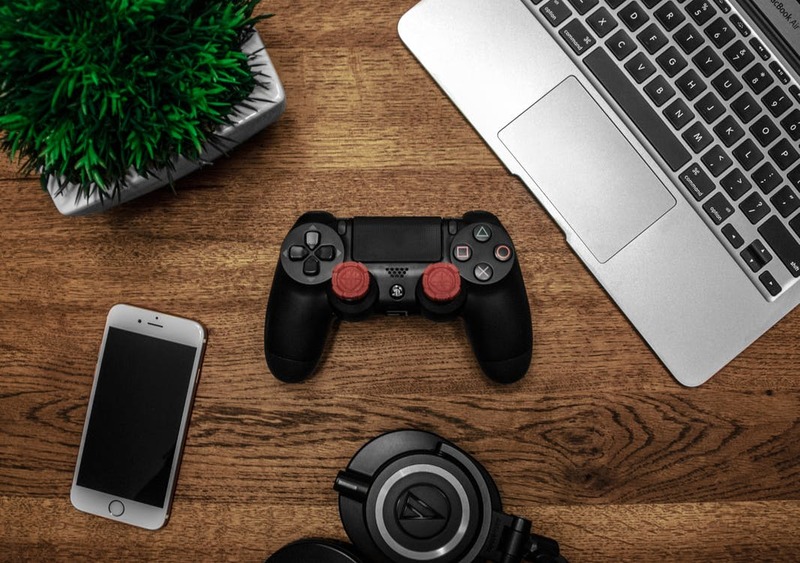 But because we know how much everyone loves Apps & Gadgets, for this month’s Tech Talk Thursday, we’re bringing you four bonus apps and gadgets for your perusing pleasure! First up, the apps! Here are a couple of apps to check out this holiday season. Planning a vacation for the upcoming winter break? 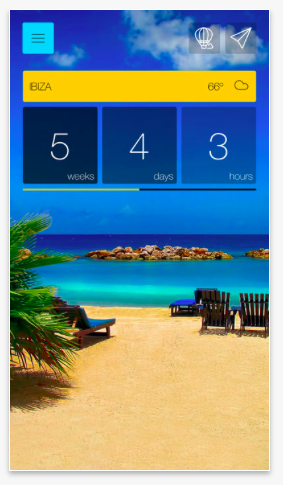 Sometimes just knowing you have 3 weeks, 2 days, and 7 hours left before your vacation is all you need to get through the work day. Let Ready Set Vacation! be the motivation you need to help you work diligently and plan appropriately before your holiday. 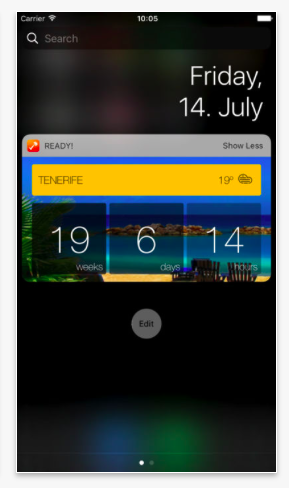 The apps shows you just how long you have to wait before your trip (you can even display this on your phone’s lock screen), helps you build a preparation checklist, gives you the weather at your destination, and more. 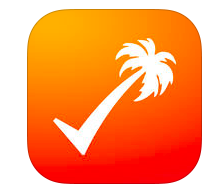 You can also use the app to book flights and hotels. Free for iOS and Android devices. Looking for something to do on your staycation? How about listening to audiobooks? 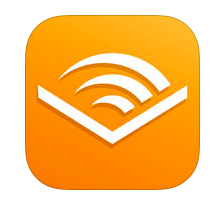 As a newcomer to the audiobook world, I didn’t know what I missing out on until I discovered Audible. 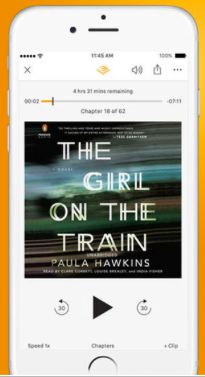 An Amazon.com company, Audible lets you download ad-free audiobooks to your mobile device. A basic monthly subscription fee gets you 1 credit per month, good for 1 free audiobook; multiple subscription plans are available. Additional books are available at a discounted price. You can also download audio shows and original series. 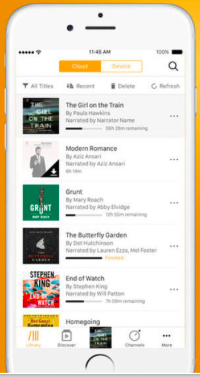 The Audible app allows you to download your books for offline listening, and automatically syncs your audiobooks across all of your devices, so you can start listening in the car on your phone, and continue on your tablet later. Content must be purchased from the Audible.com website. Free for iOS, Android, and Microsoft devices. Next up, the gadgets! Here are a couple of fun gadgets to add your holiday wish or gift list. You may have noticed that instant photo cameras are popping up everywhere. People are becoming nostalgic for those little photos we used to be able to hold, stick on our fridge, or tack onto a cork board. If you’re like me, you take lots of pictures with your smartphone, and don’t always take the time to have them printed. Now you can turn your smartphone pictures into priceless mementos to share and preserve. 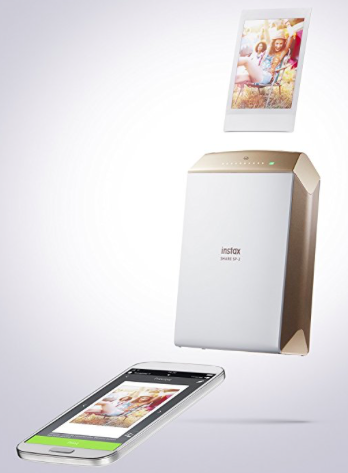 The Fujifilm INSTAX SHARE photo printer creates credit card sized prints in 10 seconds right from your phone. Ever wish you could listen to your Spotify music playlist while walking or running outside, but without having to carry around your phone? Now you can! 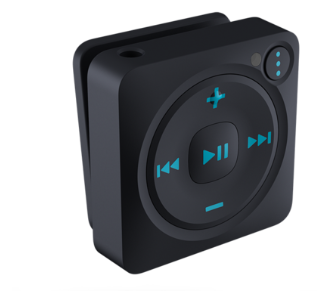 The Mighty plays all of your Spotify music wherever you are without the need for a smart phone. Another bonus for all you runners: you won’t have to worry about the Spotify app draining your phone’s battery, or about going over your data plan on those long runs. Win-win!